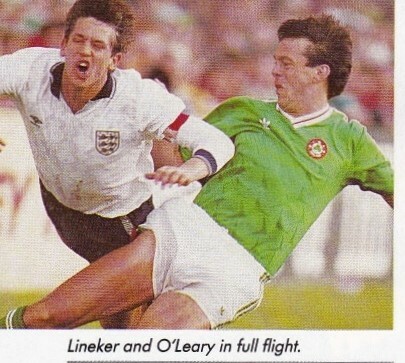 1-Fourth match vs. Republic of Ireland. 2-Gary Lineker was forced to play as lone striker as his strike partner Beardsley played a much deeper role. 1-Second and last match vs. Cameroon. 2-Last match vs. an African Nation. 3-Lineker scored 4 goals in total vs. Cameroon (three penalties). 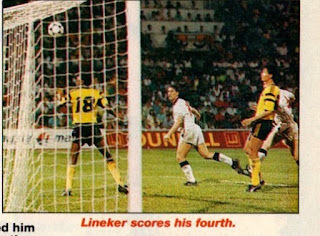 4-Lineker scored his fourth and final penalty kick goal for England. 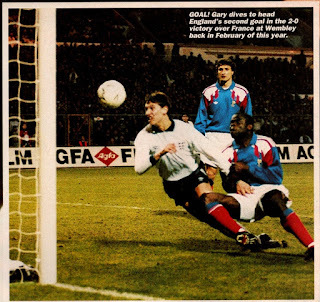 5-Gary Lineker scored his 38th and 39th goals for England. 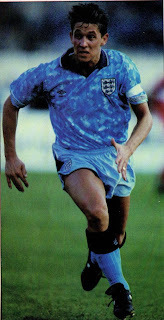 6-Lineker did not start as Captain for the first time in the Taylor era, as Bryan Robson was back. 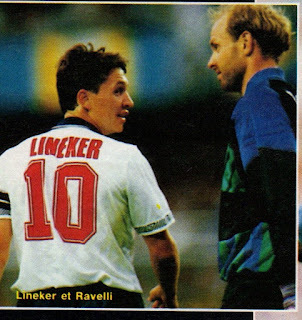 Lineker assumed captaincy in the 71st minute when Robson was substituted. 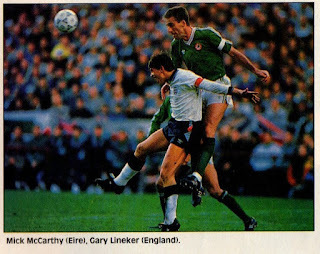 1-Fifth and last match vs. Republic of Ireland. 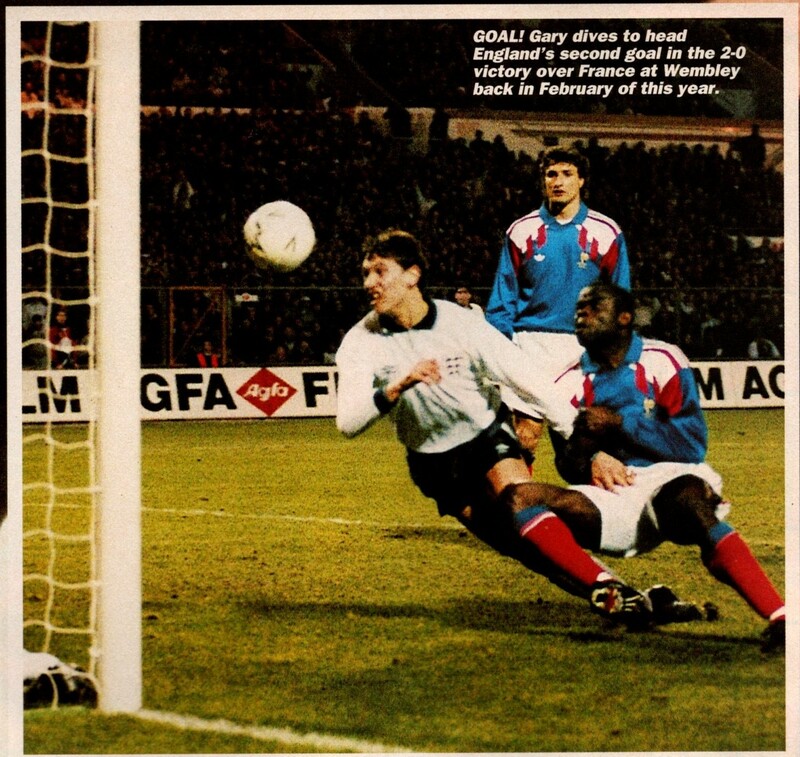 3-Gary Lineker was replaced by Ian Wright in the 76th minute. 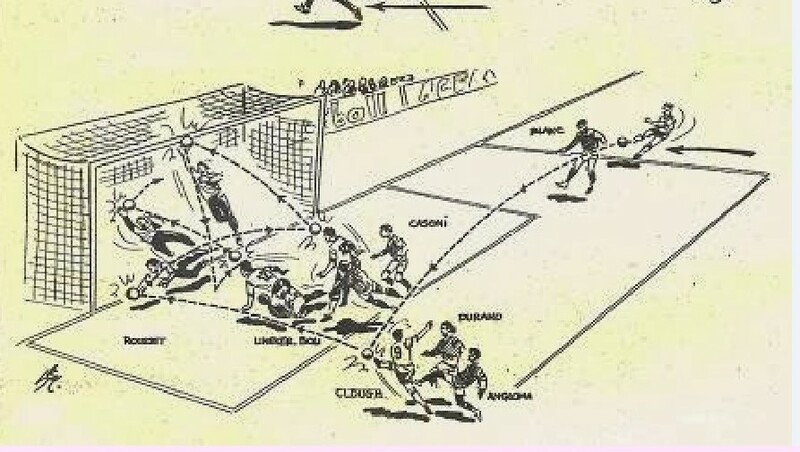 1-Second and last match vs. Argentina as well as Second goal. 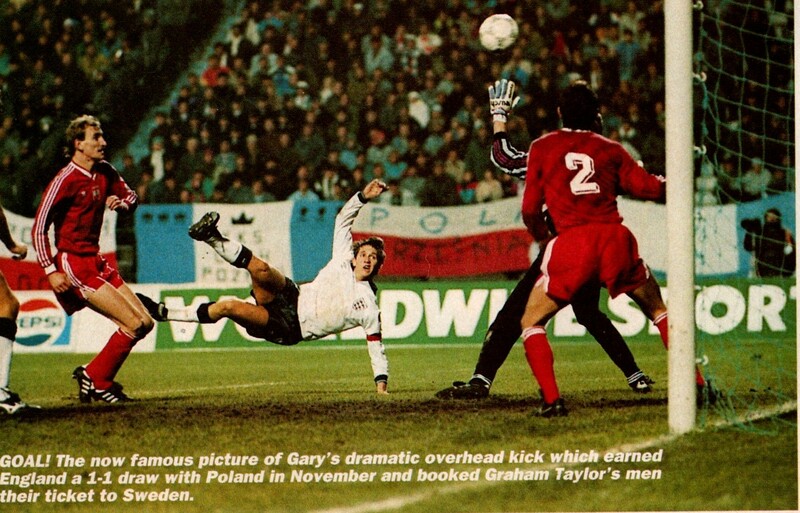 2-Gary Lineker scored his 40th goal for England. 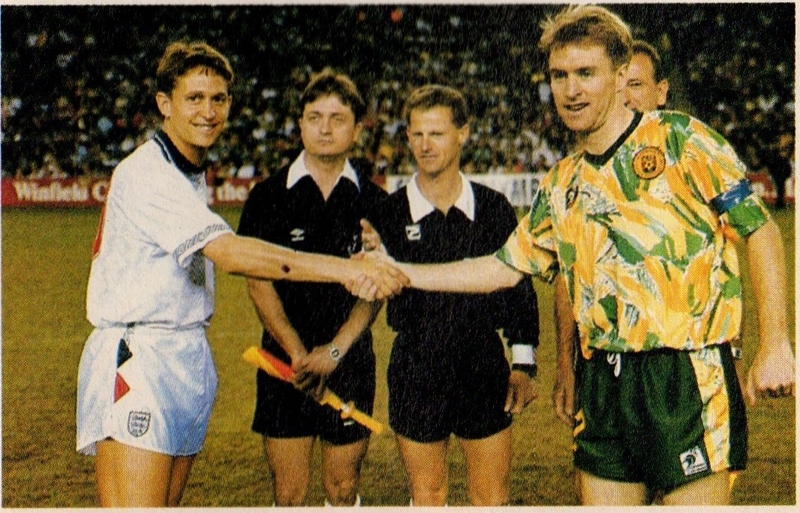 1-First and only match vs. Australia. 2-First ever match vs. an Oceania Nation. 3-Second Tour with England since 1985. 4-Gary Lineker was replaced by Dennis Wise in the 81st minute. 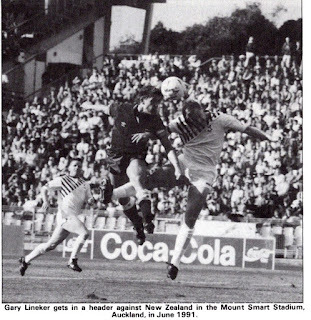 1-First and only match vs. New Zealand. 2-Second and last match vs. an Oceania Nation. 1-First and only match vs. Malaysia. 2-Second and final match vs. an Asian Nation (since 1988 vs. Saudi Arabia). 3-Gary Lineker scored his 42nd, 43rd, 44th and 45th goals for England. First goals vs. an Asian Nation. 5-Lineker has now bypassed Jimmy Greaves’ 44 goals for England and is behind Bobby Charlton’s 49 record goals for England. 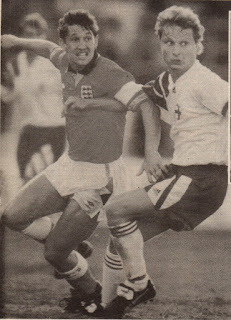 1-Fourth and last match vs. (West) Germany. First time vs. a Unified Germany. 1-Fifth and last match vs. Turkey. 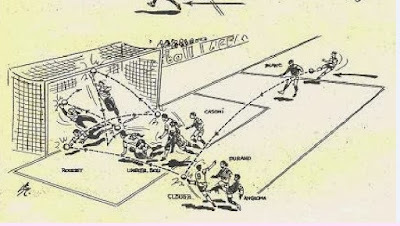 1-Fifth match and sixth goal vs. Poland. Last match vs. Poland. 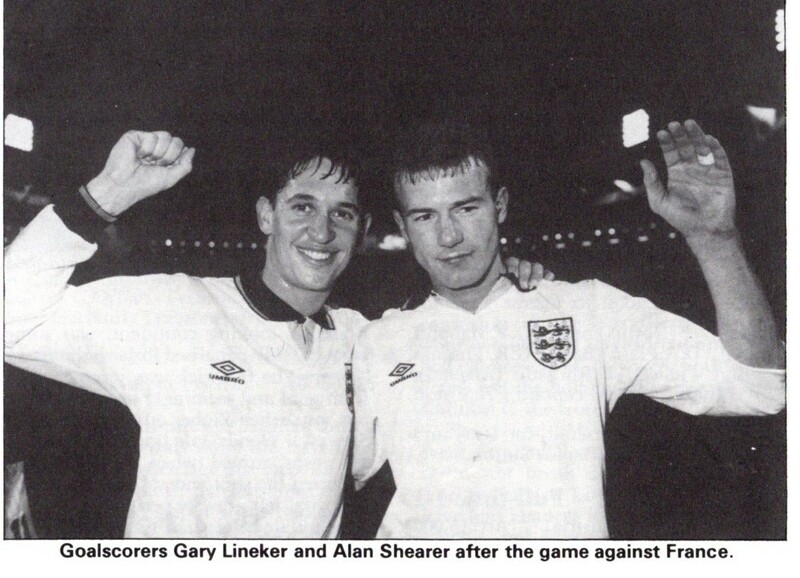 2-Gary Lineker scored his 46th goal for England. 3-Second UEFA European Championships Finals qualfication. 4-Fourth straight Official Tournament qualification. 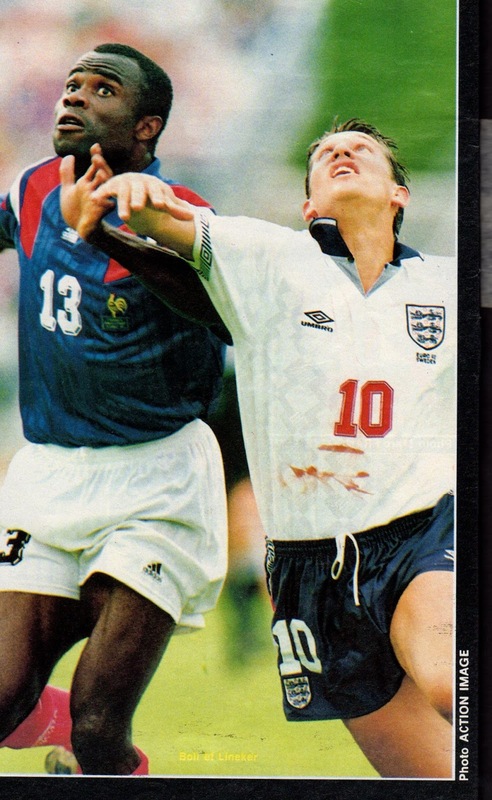 5- Ten days after this match, Gary Lineker announced that he would retire from the national team at the conclusion of Euro 92. 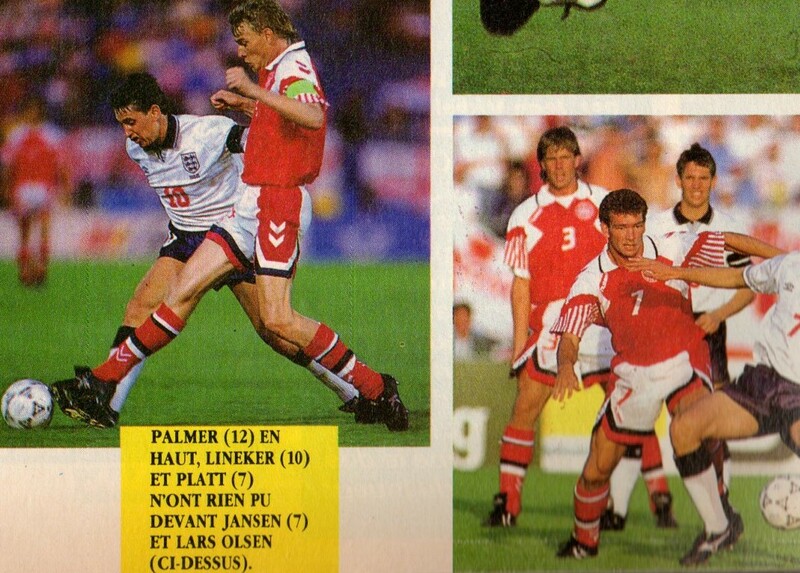 1-First match and goal vs. France. 2-First match he did not start under Taylor and came on as a substitute. 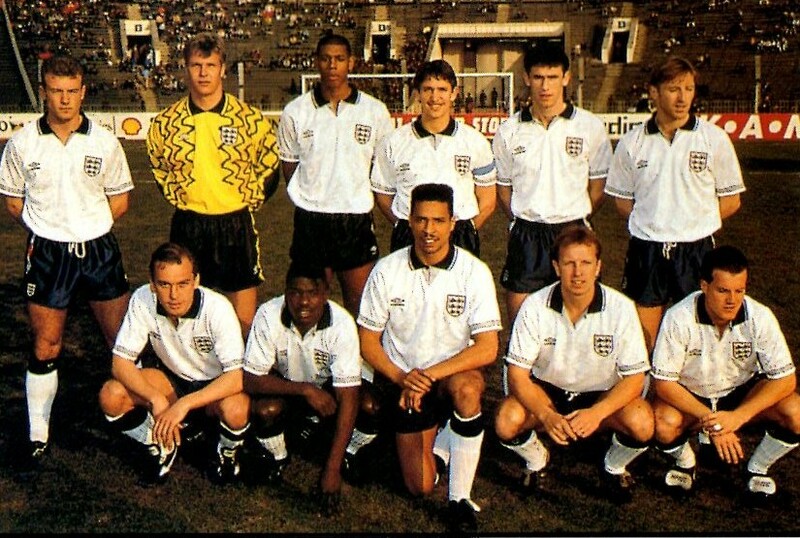 The first time he had come on as a substitute since 1985. 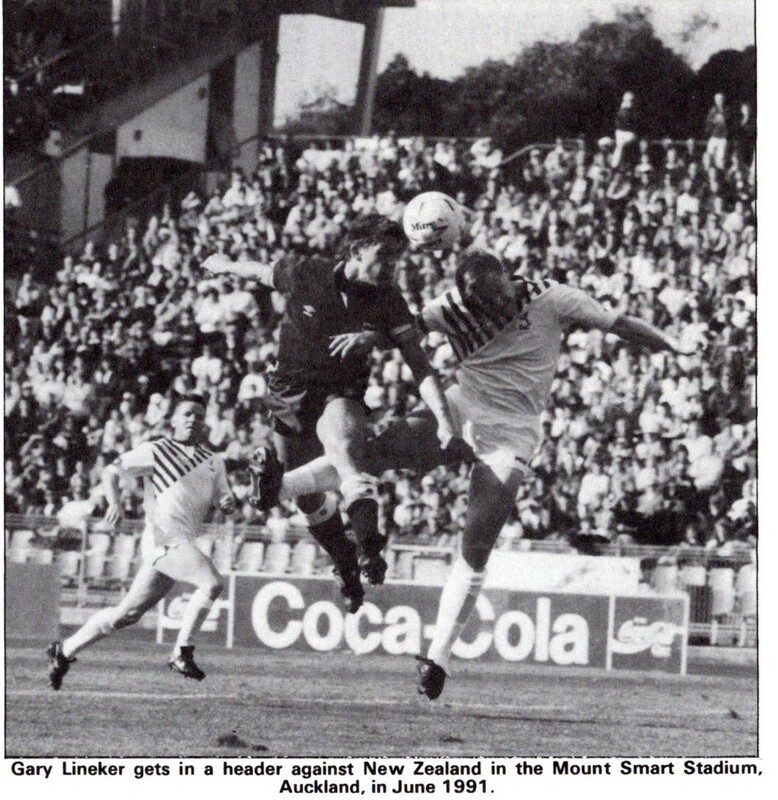 3-Lineker replaced David Hirst in the 46th minute and reclaimed the captaincy. 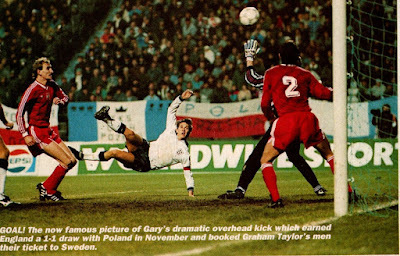 4- Gary Lineker scored his 47th goal for England. 5-Gary Lineker had already announced his retirement from the English National team at the end of the season after the Euros. This was a reason cited by Taylor to not to start him. Taylor wanted to try out new strikers. 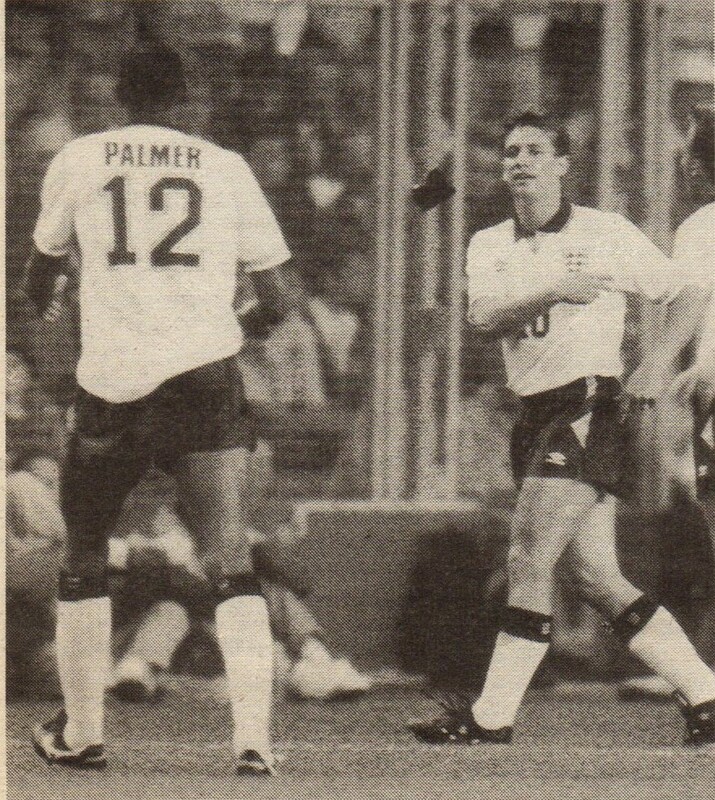 The English Press were mostly critical of his exclusion from the starting lineup. 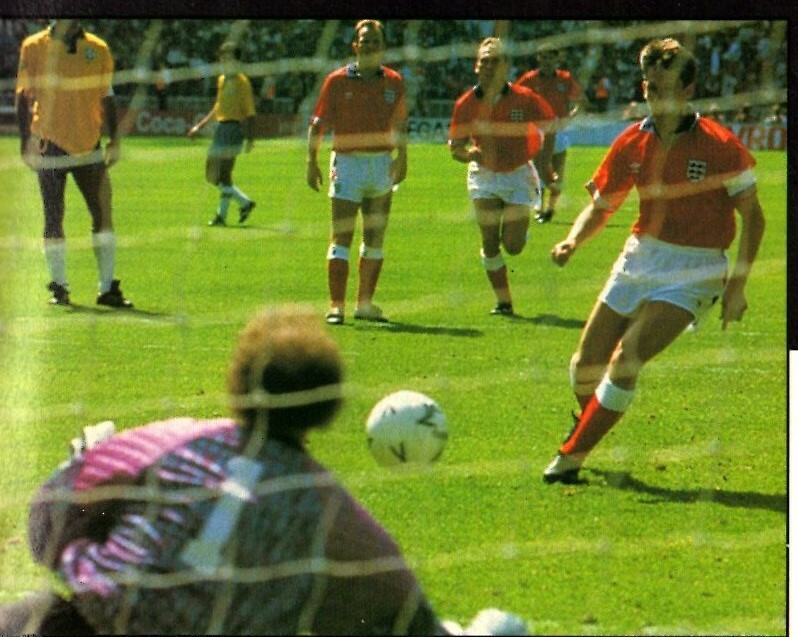 1-Second and last match vs. Czechoslovakia. 2-Second match in a row that he came on a substitute. 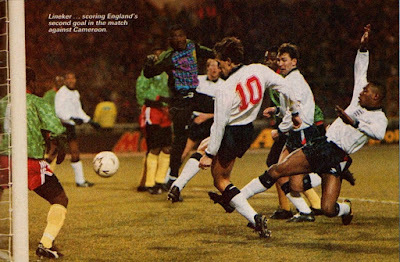 3- Lineker replaced Gary Mabbutt in the 72nd minute. 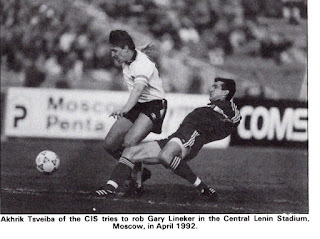 1-Third and last match vs. USSR (and now CIS). 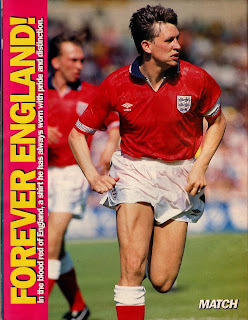 2- Gary Lineker scored his 48th and final goal for England. 1-Third and last match vs. Hungary. 1-Third and last match vs. Brazil. Last match vs. a South American as well as a non-European Nation. 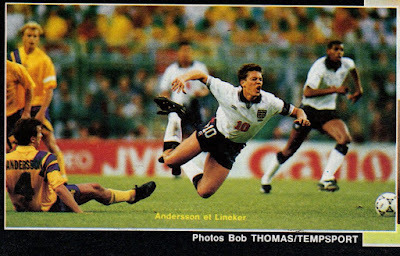 2-Lineker missed a penalty kick in the 10th minute. 1-First and only match vs. Finland. 1-Third and final match vs. Denmark. 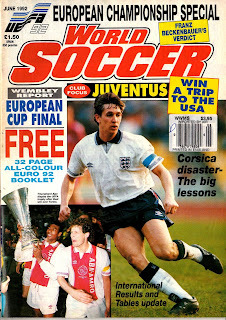 2-Second UEFA European Championships and last Official Tournament. 1-Second and final match vs. France. 1-Third and final match vs. Sweden. 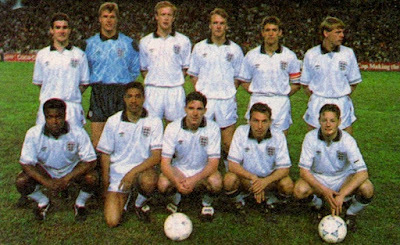 2-Final and 80th match (39 wins, 29 draws and 12 losses) for England and 48 goals. 4-Last match in an Official Tournament. 6- Gary Lineker was replaced by Alan Smith in the 62nd minute. 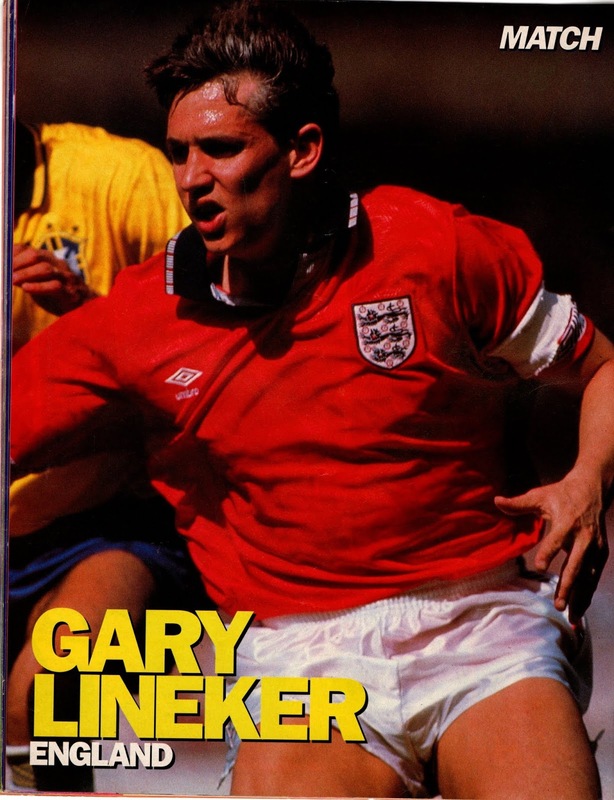 7-Gary Lineker joined Japanese side Nagoya Grampus Eight in the new J-League and retired in 1994. 9-His goals tally: 26 were in friendlies/minor tournaments, 7 Euro qualifiers, 5 World Cup qualifiers, 10 in World Cup finals. Four of his goals were penalty kicks. He also scored once in a penalty kick shoot-out. 10-Lineker’s most freuwnt opponents were Republic of Ireland, Turkey and Poland. He faced each opponent five times. 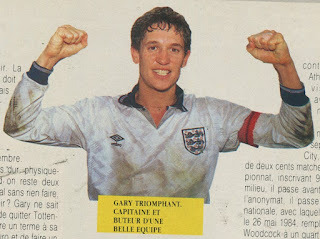 11-He captained England in his last 22 matches. In 1991 match vs. Cameroon he did not start as Captain but assumed once Robson had been substituted. In 1992,vs. France and Czechsolovakia, he did not start but came on the field as captain.